Adobe DNG Converter is a lightweight and free utility that enables you to easily convert camera-specific RAW files from more than 600 cameras to the more universal DNG (Digital Negative) file format. Adobe DNG Converter supports around 900 different types of image formats and it has backward compatibility. For a complete list of supported cameras go here. What is a Digital Negative (DNG)? Digital Negative (DNG) is a lossless raw image format designed by Adobe for digital photography. DNG stores the “raw” pixel data captured by the digital camera sensor before it has been converted to JPEG or TIFF along with standard EXIF metadata, date, time, camera used, and camera settings. DNG allows photographers to archive their raw camera files in a single format for easy cataloging and access in the future. With the format specification freely available, any developer can build software that supports and takes advantage of DNG. Why convert to DNG files? RAW file formats are extremely popular in digital photography workflows because they offer creative professionals greater creative control. 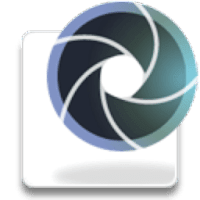 However, cameras can use many different raw formats - the specifications for which are not publicly available - which means that not every raw file can be read by a variety of software applications. As a result, the use of these proprietary raw files as a long-term archival solution carries risk, and sharing these files across complex workflows is even more challenging. Unlike most manufacturer-specific raw formats, the Digital Negative is an openly published specification that not only is supported by Adobe, but is also freely available for other software and hardware vendors to support. Consequently, it can be a safer file format to use for long-term archival purposes. Archiving your file as a digital negative eliminates worries that the raw file will no longer be readable once the camera that created it becomes obsolete. Disclaimer: Direct downloads for the lastest version of Adobe DNG Converter 9.12 are provided by the official software's author, we can't guarantee safety, availability or download speed. Moreover, we don't and we won't provide any pirated/illegal versions or tools. We recommend you to avoid it as these methods can harm your device. If you like the software, buy it to support the developers. (We provide software discounts for many worldwide brands).